Teething usually occurs between the ages of four months and 2½ years, causing sore and tender gums. Common signs of teething include irritability, loss of appetite, restlessness, or waking up during the night. Chewing on fingers and toys is also associated with teething, along with excessive drooling. Parents should be sure to give children plenty of fluids to keep them well hydrated. 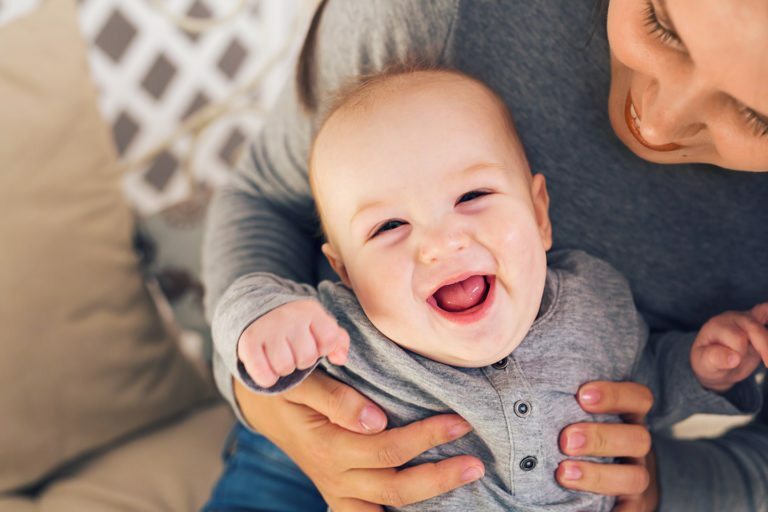 The Massachusetts Dental Society recommends gently rubbing the baby’s gums with a clean finger, a small soft-bristled toothbrush, or wet gauze to sooth teething pain. A clean teething ring to chew on, especially a cold one, may also be helpful. Teething should not cause a fever. If your child does have a temperature, it should be addressed as a different medical concern. If your baby continues to be uncomfortable even after you attempt to ease his or her teething pain, call your physician.